We have selected three perfect succulents for the terrarium design. The ideal gift for all occasions and housewarmings in particular. One of the best things about this gift is that it arrives unarranged. It gives the recipient the opportunity to experience the freedom, joy, and reward of arranging it themselves. 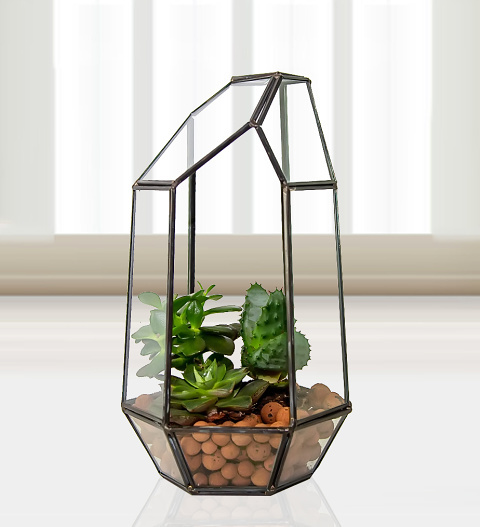 We have included a glass terrarium, a bag of clay balls, and three perfect succulents. This long-lasting gift also comes with potting and care instructions. Since these are succulents, they do require a different type of care than most other types of potted plants. You can also add some fairy lights to give this gift some extra sparkle.